Hearing Care Centers got its start in 1988. Today, we have three convenient locations to meet your audiology needs, with offices in Torrington, Bristol, and West Hartford, Connecticut. Hearing Care Centers has a commitment to offering every hearing-management option to the patient, so that they can make the best decision for themselves. 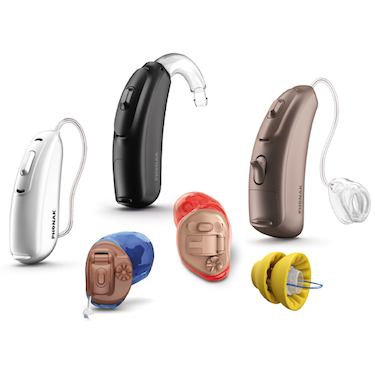 Among our featured manufacturers, we are not pressured to sell any hearing device over another, so you can be assured you are getting the most honest advice for your specific needs. Our ultimate aim is for you to overcome your hearing loss, and we will use a variety of means to ensure that aim is met. We provide thorough and professional testing, and give you the most detailed analysis of your current hearing abilities. An opportunity to test drive hearing aids before you commit to them. Hearing aids are a big investment. That’s why we offer our patients a trial on hearing aids before they buy. We want to make sure that you are 100% satisfied. Using this policy, we get very few people wanting to return their hearing aids, which shows how happy our customers have been! 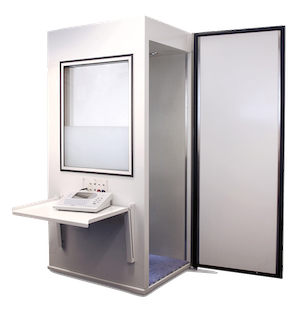 Fittings based on Real Ear Measurement – the industry standard. Not all hearing aid fittings are created equal. We’re proud to offer Real Ear Measurement fittings as standard. These are a more personalized, precise fitting based on the acoustic profile of your ears, which means more fine-tuned, accurately fitted hearing aids. The path from the discovery of hearing loss to treatment can be a daunting one. We want to guide you through this process so that you can come out on the other side and continue leading a rich and fulfilling life. 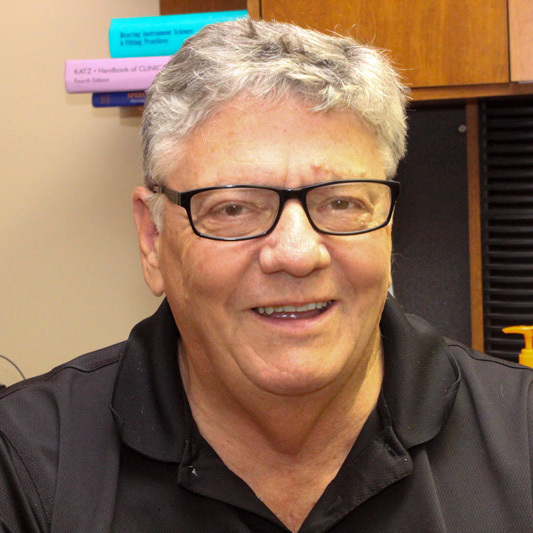 Jack Felix is principal owner of Hearing Care Centers with offices in West Hartford, Bristol and Torrington, Connecticut. Mr. Felix has over 40 years’ experience in the Hearing Aid industry. He has a Bachelor of Science degree from Providence College, is licensed by the state of Connecticut as a Hearing Aid Specialist, and is Board Certified by the National Board in Hearing Instrument Sciences. In addition, Mr. Felix has been certified by the American Council of Audioprosthology as an Audioprosthologist. Mr. Felix has served as President of the Connecticut Hearing Aid Dispensers Organization (CHADO) as well as secretary and vice president of the organization. Nina is the office manager of the Torrington Office. She has been with Hearing Care Centers since 2006. Nina received her Hearing Instrument Specialist license in 2013 after successful completion of the study course from the International Hearing Society and she also graduated from the Alan Lowell Program for technique and competency in hearing science. In addition Nina is a Certified Medical Assistant and Phlebotomist and is working towards an Associate degree in Liberal Arts and Graphic Design at Northwestern Connecticut Community College. Nina is well equipped to answer any questions you may have about the latest technology in hearing aids. 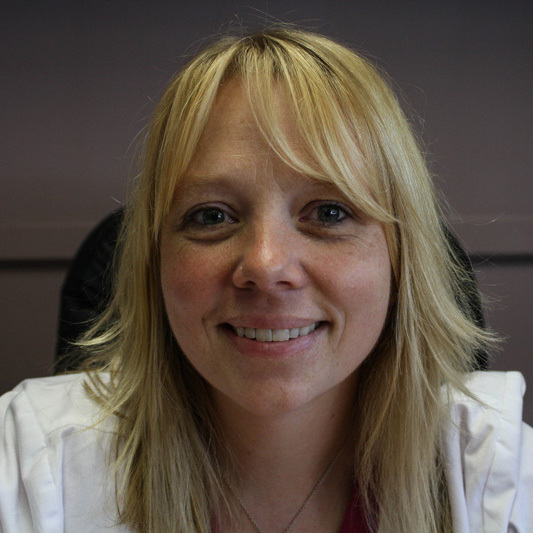 Ellen is the Administrative Assistant for Hearing Care Centers, and inter-office coordinator. 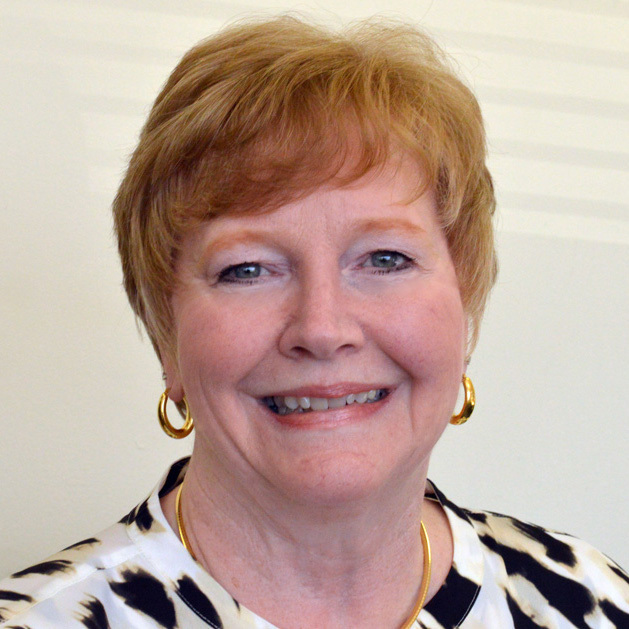 Ellen has been with Hearing Care Centers since 2005 and she is also the manager of the main office in West Hartford. In her free time Ellen enjoys spending time with her grandchildren and traveling. 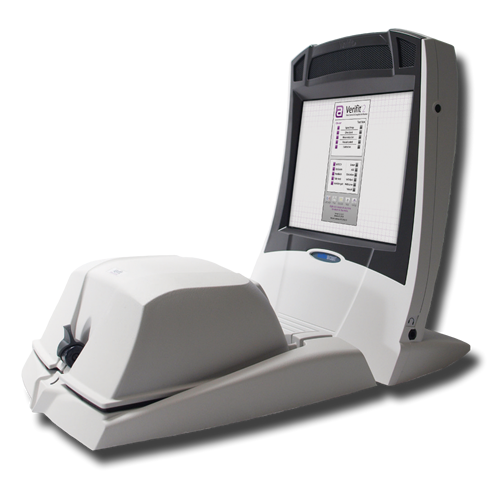 Tom started in the Hearing Instrument Sciences Industry in 1979. He had his Hearing Instrument Science Licences in Connecticut, Massachusetts and California. Tom obtained his Master Hearing Instrument Science Specialist certification just prior to his retirement seven years ago. He presently is the Patient Care Coordinator for Hearing Care Centers and sets up testing, service appointments and makes sure all the patients needs are met in a compassionate and caring manor, "our patients are our family". Tom loves golf and is blessed to have his better half Jodi and son Jesse in his life. Every visit to a new health care provider begins with forms: health history forms, insurance forms, intake forms, etc. At Hearing Care Centers, we know that you would prefer to spend your office time meeting and talking to one of our hearing health professionals, rather than filling out paperwork. So, we’ve provided all the forms you will need here on our website. 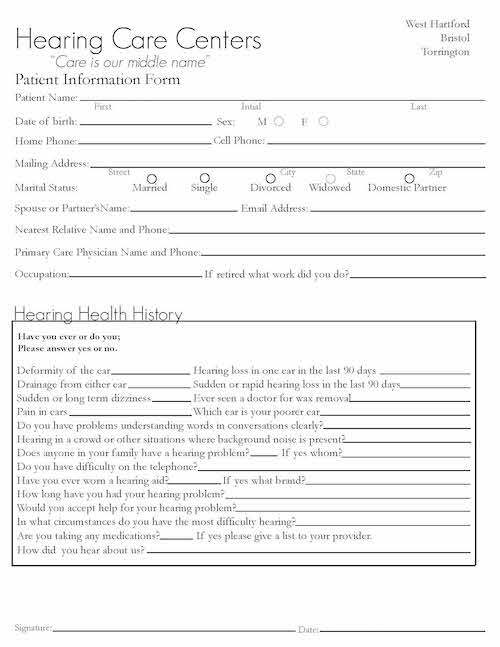 Feel free to fill these out at home and bring them with you to your first appointment. Contact us if you have any further questions leading up to your appointment.